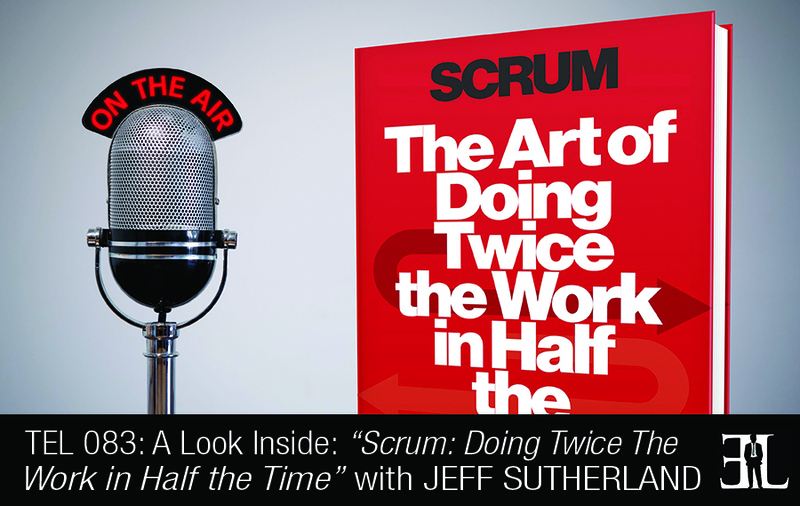 In this episode Jeff Sutherland shares his book, Scrum, where he brings you a thought-provoking book about the management process that is changing the way we live. In his book, Sutherland lays out his widely used project management system called Scrum which is a simple framework for solving the most intricate work problems effectively. The goal of the book is to simplify your work life, increase productivity, and get more done in less time than before. This book is perfect for entrepreneurs who are struggling with managing small teams, increasing performance, and making forward progress with large projects. If you go to Amazon you will see that this book has moved up to the top of the list on time management. Scrum is about getting things done with teams and teams are much more powerful than the individual. It’s specifically not designed as a reference book but designed to tell the stories about why Scrum works. Any way you read you will find a very interesting story focused on a critical issue for teams getting work done. The key issue is that within every person and team is a spirit of greatness that lays untapped and to tap that trying to use a traditional management style will not work. You must become a different type of leader and scrum gives you an organizational structure to bring out from the team that greatness that is within. The first chapter of the book is titled The Way the World Works is Broken. Research shows that most people hate work. The only thing that is worse than going to work is being sick in bed. The reason I believe is the fundamental driver of this problem is that people can’t get stuff done. The whole idea of teams self-organizing to get great results is key to Scrum. So this chapter explains why things are broken and how Scrum fixes them. That leads us into the second chapter which explains the origins of Scrum. In the third chapter we get more focused on the teams. A lot of managers don’t understand that the difference in the best performers and the worst performers as individuals is 1 to 10. But if you look at the difference between the best teams and the worst teams it’s 1 to 2,000. So the team effect is two orders of magnitude bigger than the individual effect. So as a manager if you take a team and try to increase productivity person by person it will take you a long time and maybe forever. If you implement Scrum with a cross functional team and you focus the team on the goal they can double their production in a few weeks. This chapter focuses on how you can get teams to do twice the work in half the time. The fourth chapter is all about time. You need to measure production instead of hours and in this chapter we show you how to plan. Chapter five explains what happens when you are focused on measuring hours. If you measure hours you get a lot of waist. People think they have to hang around at their desk and punch their clock by doing nothing. We show systematically in this chapter how to build a cross functional team that gets on a self-improvement cycle that is continually removing waist from the system and accelerating faster and faster. From there we move in to planning and Scrum uses reality base planning. This chapter gives the entrepreneur the nuts and bolts on how to get this implemented in the company with a lot of stories and examples the planning and implementation. In the seventh chapter we describe how to get employees so motivated and happy that they never leave your company, they get twice the work done in half the time, they have fun while doing it and they are making sure the company objectives are being met. The bottom line is that happiness drives revenue and we show lots of stories on why that works. Scrum in the art of getting twice the work done in half the amount of time. I am a CEO of a company called Scrum Inc. I had a career as a fighter pilot which is part of what led to the book we are going to talk about. I spent 11 years in the air force and what I learned flying over North Vietnam is imbedded in my book. When I got back I completed an advance degree in medical school and was a professor of radiology, biometrics and preventative medicine. I was then hired away from the medical school in to a large banking company and when I looked at what they were doing in software I implemented what I learned from medical school and the military and that resulted in the creation of Scrum. Several years ago I wrote a book called Software in 30 days and in there we focused mainly on IT and software development. There is still a debate on what works and doesn’t work and I wanted to amplify on that. I also wanted to talk about how Scrum is moving outside of software development and tell all the great stories that I couldn’t get into my software book.